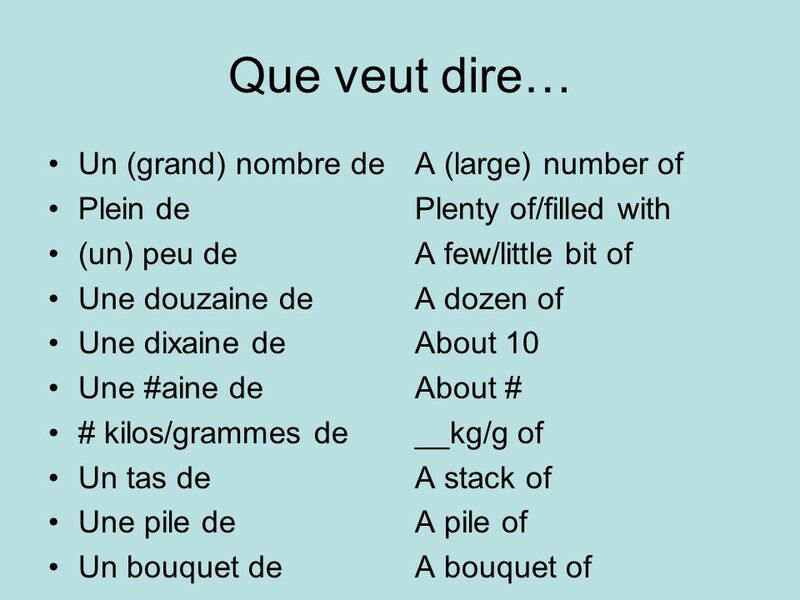 8 traduisez 1. 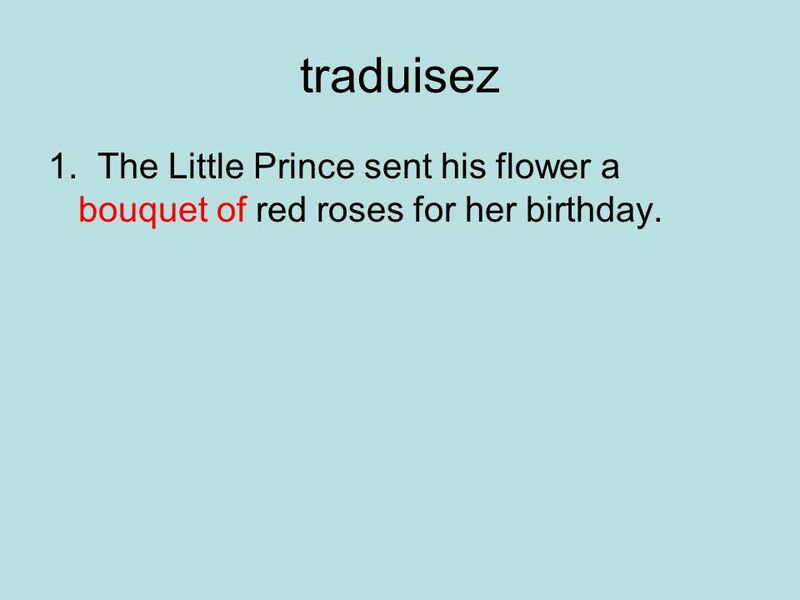 The Little Prince sent his flower a bouquet of red roses for her birthday. 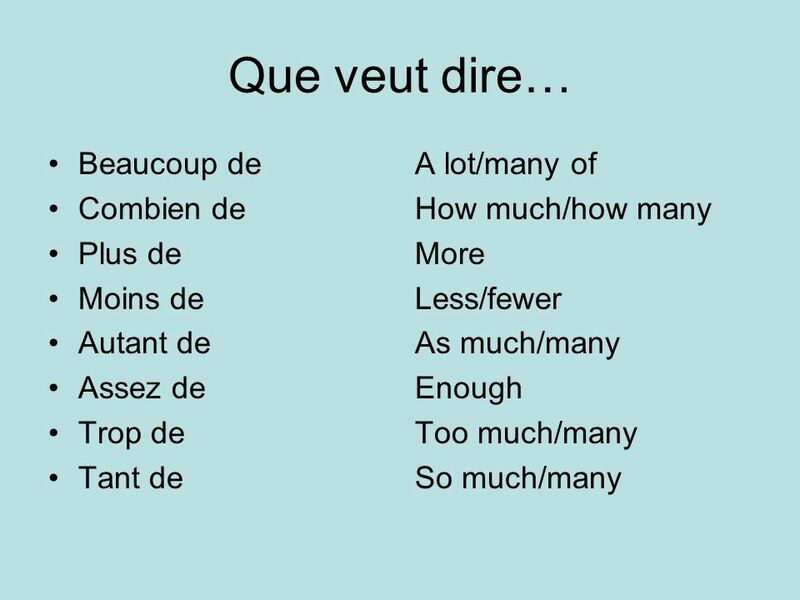 10 Traduisez 3. 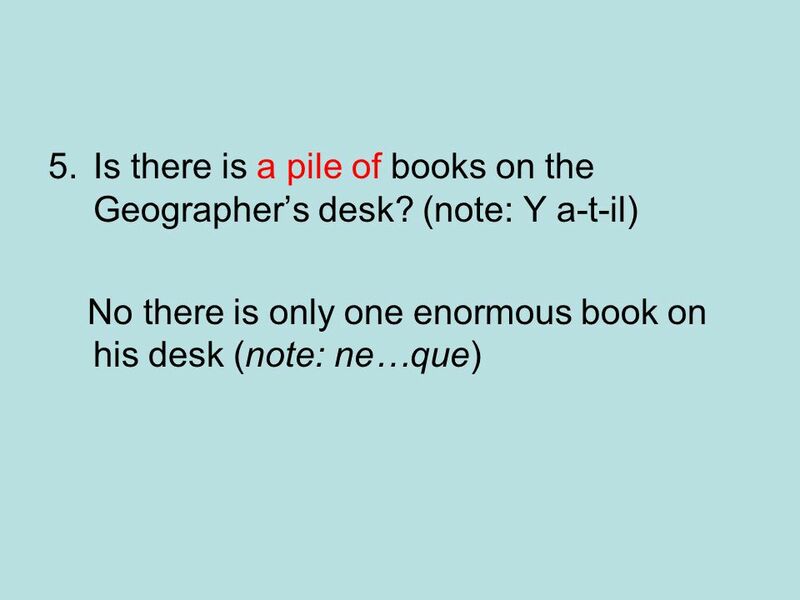 There are fewer boys in this class than girls. 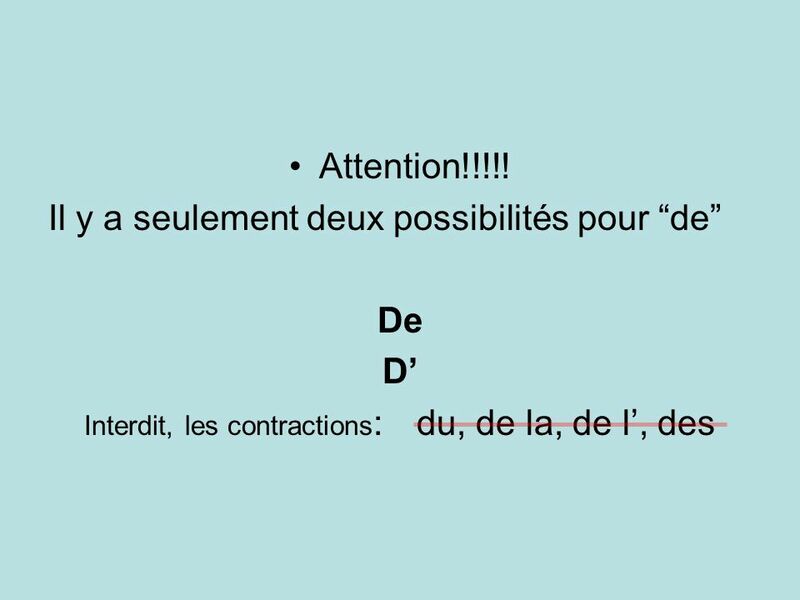 11 Traduisez 4. A large number of students went to the basketball game last Friday. 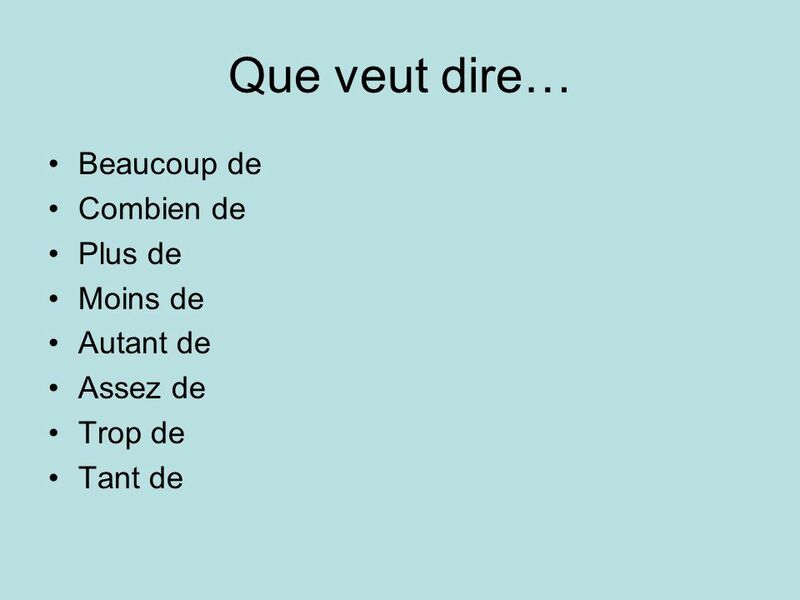 13 6. 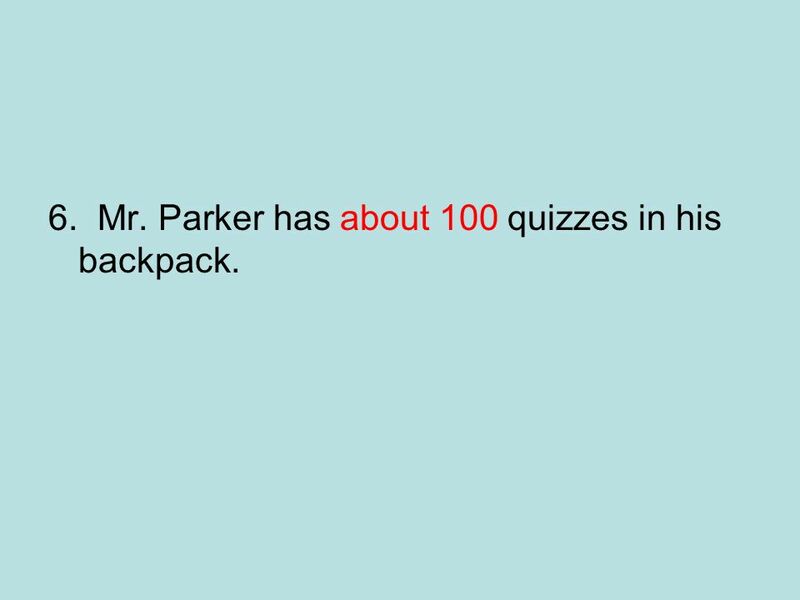 Mr. Parker has about 100 quizzes in his backpack. 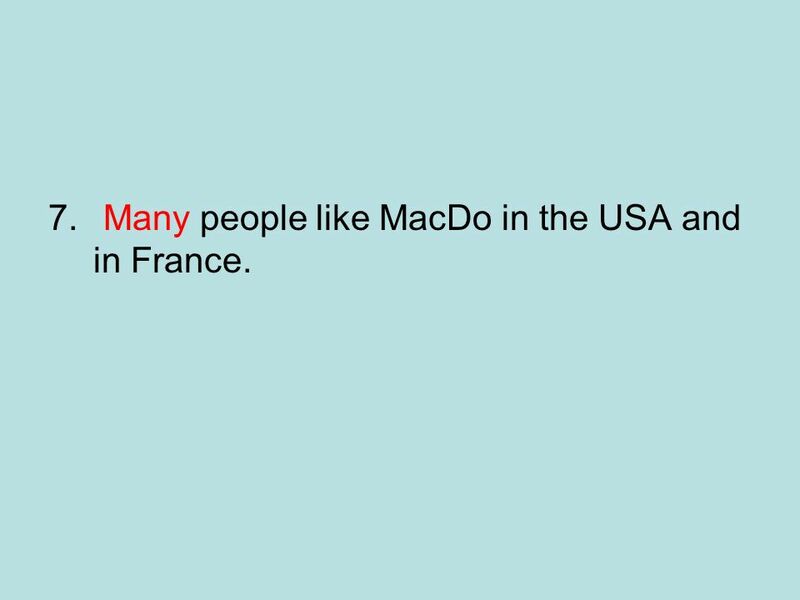 14 Many people like MacDo in the USA and in France. 15 8. 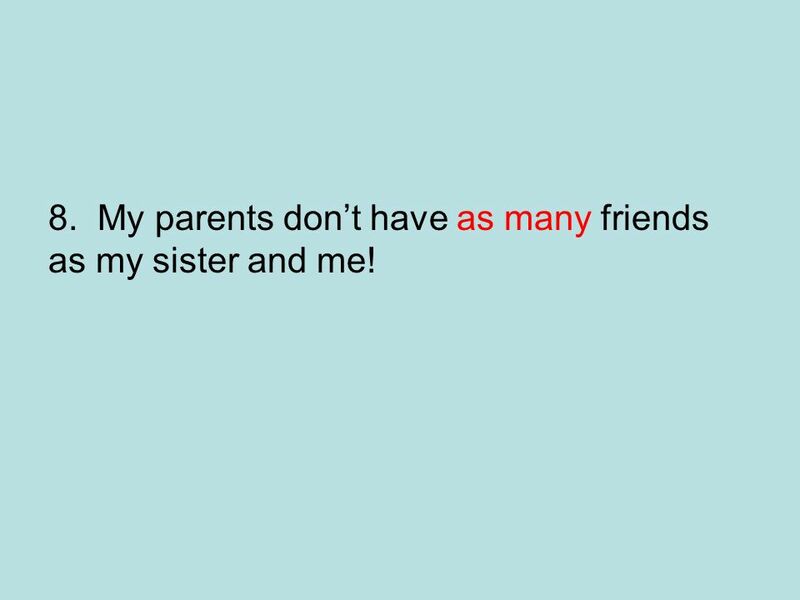 My parents don’t have as many friends as my sister and me! 16 9. 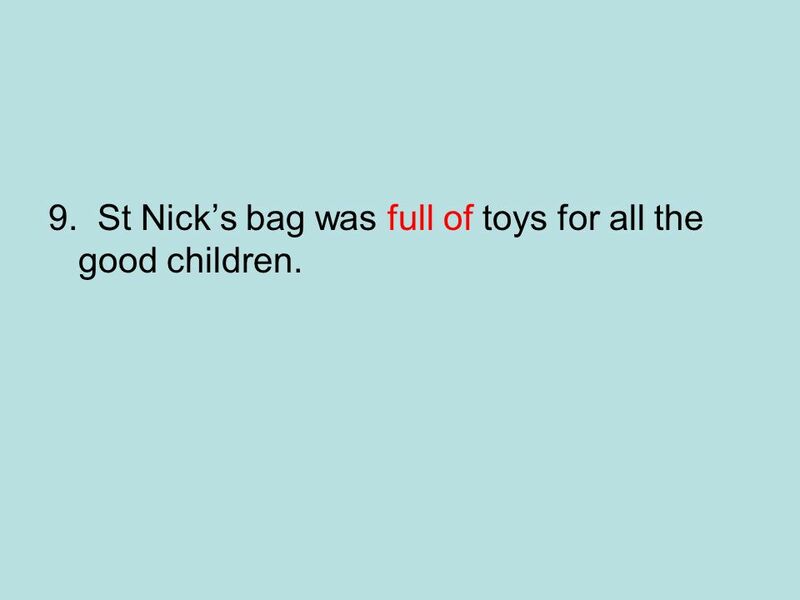 St Nick’s bag was full of toys for all the good children. 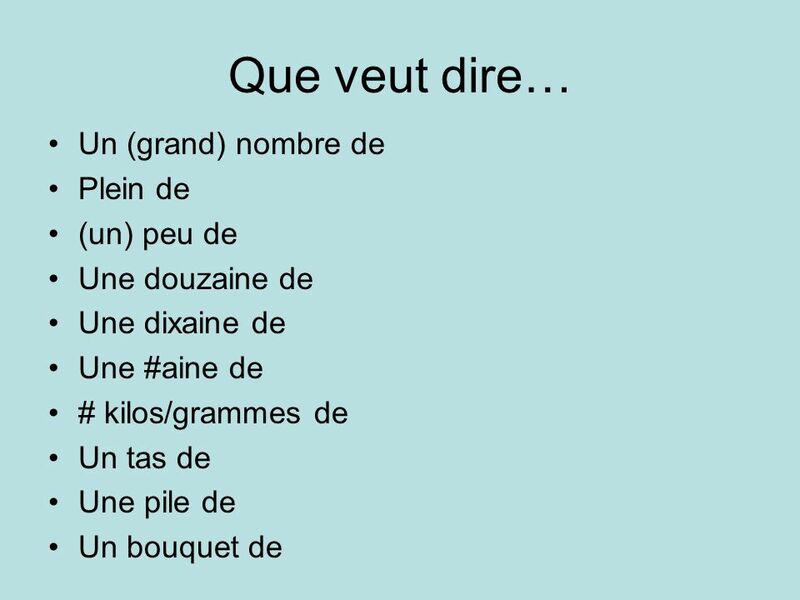 17 10. 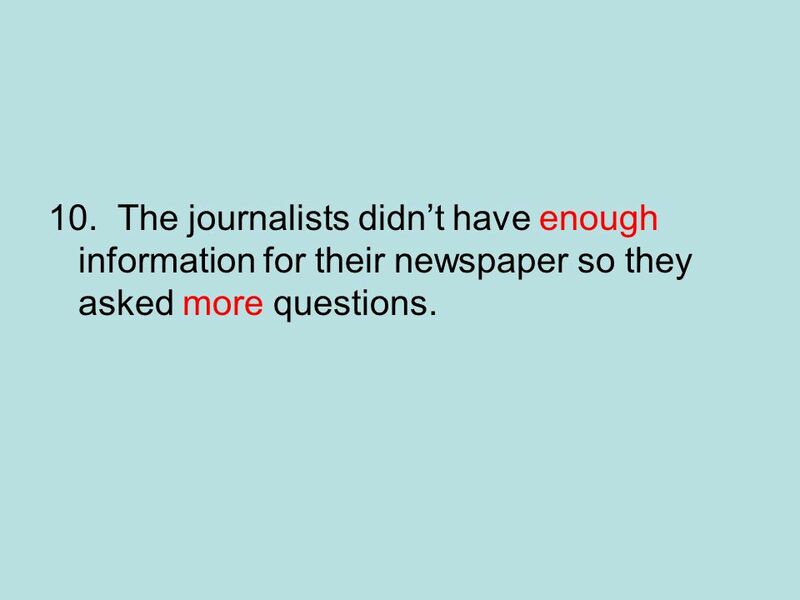 The journalists didn’t have enough information for their newspaper so they asked more questions. 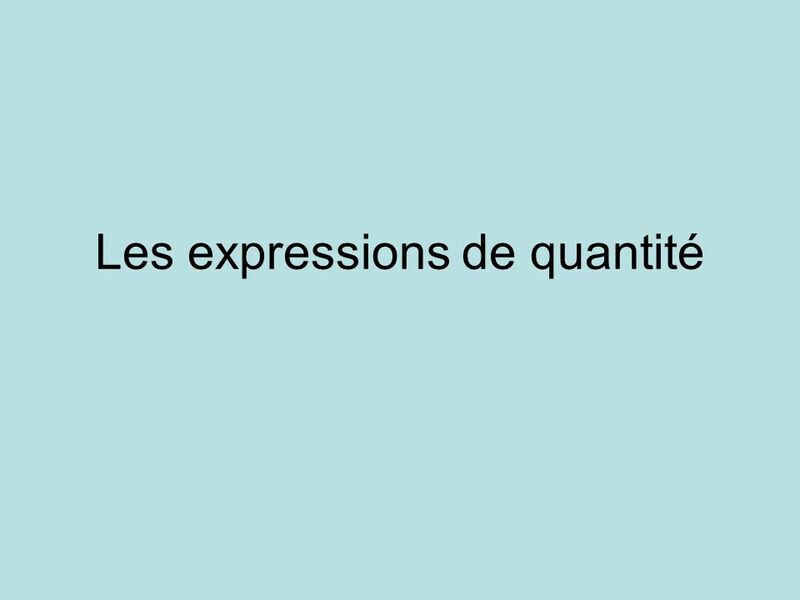 Télécharger ppt "Les expressions de quantité"